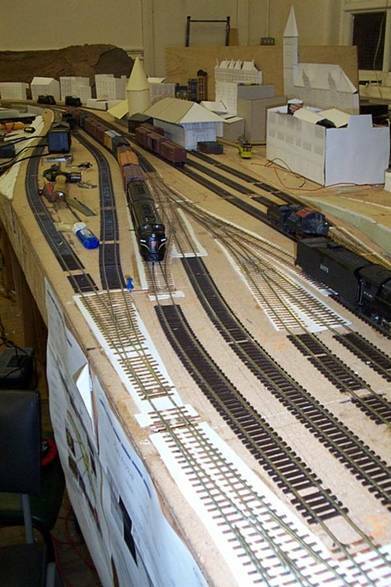 Progress picked up in January and the photos show this. 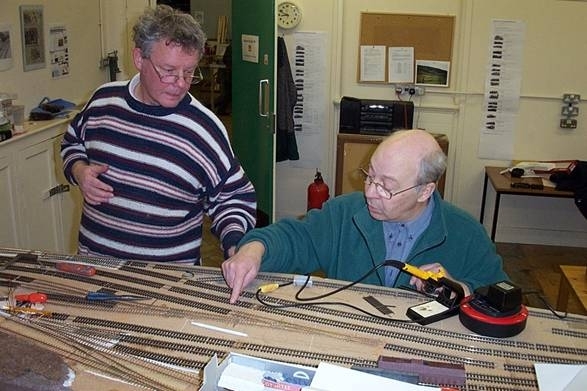 Chris and Paul forged ahead with the switches on the front of the layout and they are now all in place (although not wired or motored) and working! 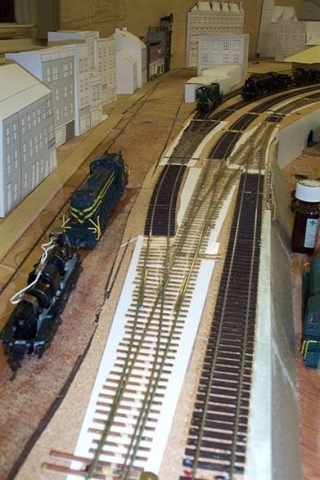 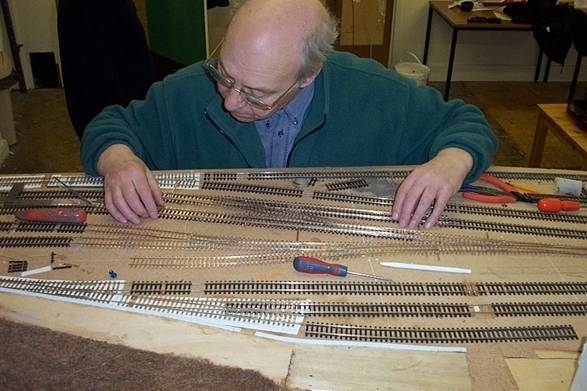 Even Steve has had a go at laying switches in the staging yard to provide new storage sidings – he has also finished most of the work on the third building. 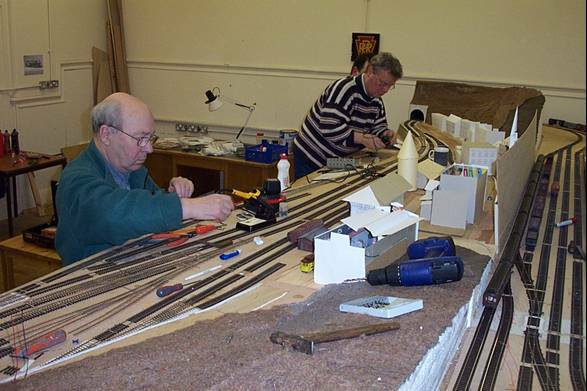 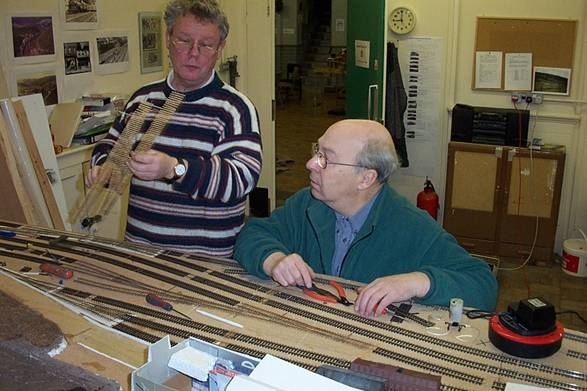 Before we focus on the switches, here are the three buildings so far completed, Chris and Paul showing that laying switches is a very serious job, and three old HO hands assessing progress! 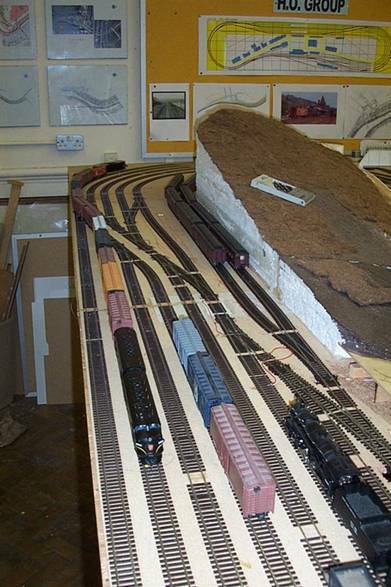 The completed switches as laid in January by Paul, Steve (some only) and Chris. 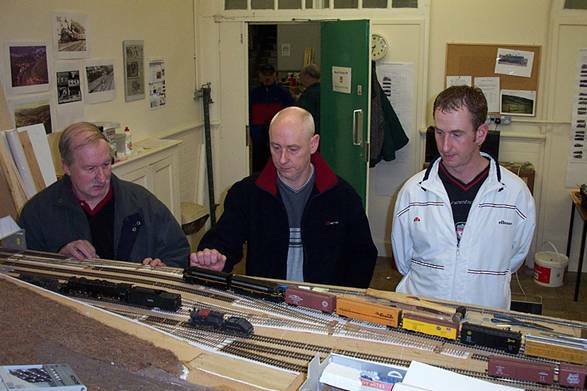 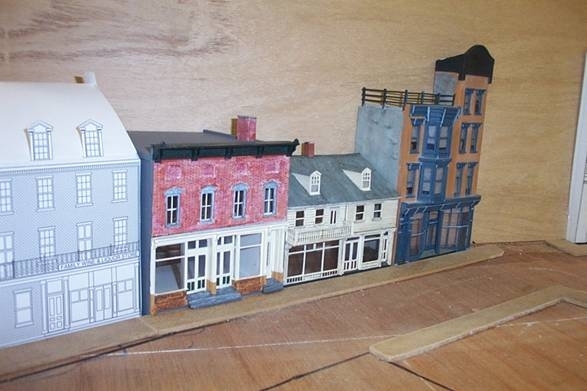 This entry was posted in 2004, blog, Progress and tagged track on January 31, 2004 by Steve Hales.